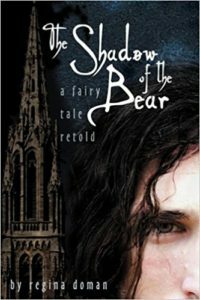 The Shadow of the Bear is a modern retelling of the Grimm fairy tale Snow White and Rose Red. This book is the first of the author’s Fairy Tale Novels where she takes an old story and creates a fresh and entertaining tale for modern teens. This exciting novel – part mystery, adventure and fairy tale, is about sisters Blanche and Rose and how their lives are forever changed when a mysterious stranger named Bear happens upon their door, in the “wilderness” of New York City. There are many things I enjoyed about this book including the very different personalities of the sisters and the incorporation of faith. I especially liked how the innocent sisters found themselves in several precarious situations, a mixture of unlikely predicaments and some very real and relevant dangers of today’s teens. This book is loaded with fantastic topics for discussion – being taken advantage of, stealing, drinking, bullying, drugs, hazards of dating. I will offer a bit of a warning though – if you value your sleep, don’t read this book close to bedtime because the second half of the novel is a real page turner and you won’t be able to put it down. You’ve been forewarned! When Bear, a mysterious young man, lands on Blanche and Rose Brier’s doorstep in New York City, the two sisters have conflicting opinions on whether or not he is dangerous. Even as Blanche learns to trust him, her fears that Bear’s friendship threatens their family prove terrifyingly true. A modern retelling of the classic Brothers Grimm fairytale.